Mifare Card comply with ISO/IEC 14443, a four-part international standard for contactless Smart Cards operating at 13.56 MHz in close proximity with a reader antenna. Just like other Proximity Integrated Circuit Cards (PICC), Mifare cards operate within approximately 5 of the reader antenna. Mifares have typically two parts, an antenna for sending and receiving information (in form of signals) and an integrated circuit (IC) that processes and stores information. The IC contains a memory that is divided into segments and blocks with security mechanisms for access control. A user is required to show the Mifare tag near the Mifare reader, a distance not longer than 10 cm. A connection is established between the card and the reader, then the card sends a code that identifies the type of card selected. The communication between the card and the reader is highly secured through encryption. How secure are Mifare cards? 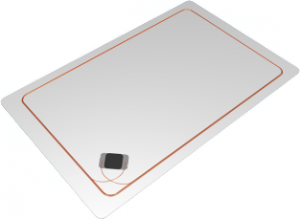 MIFARE Plus S: stands for “Slim” and is the lightweight version of Plus. It is meant to provide a low-cost and straightforward migration from MIFARE Classic and does not support Security Level 2 or “Proximity Check” with only partial support for the “Virtual Card” scheme. MIFARE Plus X: stands for “eXpert” and is the full feature version, offering the entire suite of Plus security upgrades and providing more flexibility to optimize the command flow for speed and confidentiality. – Increased Security – Secure encryption during transmission and storage of information prevents unauthorized access to information stored on the card. This makes it really difficult to copy a Mifare card. Mifare cards are capable of handling up to 15 applications. The user therefore does not need multiple cards for multiple purposes, one card can effectively handle all his applications. – Increased Efficiency and Reduced Cost – Increased throughput by decreasing check-out times, reducing costs of cash handling and processing. – Multi Interface – Mifare cards have support for both non contactless and contact interface, giving the user the ultimate convenience of duo interface. Event Ticketing – Widely used in ticketing events, giving access entrance to stadiums, exhibitions and leisure parks. For instance, Mifare Ultralight cards have been used in events such as football worldcup. Public Transport– The transport sector has really been revolutionized by Mifare cards. Due to their multi-application feature, tourists can conveniently purchase tickets to different destinations or access public transport services. Loyalty – Card,users can earn points and discounts with continued use of these cards for payment purposes. Loyalty points can then be accumulated and stored in the card for offline earning and spending. Access Card – Mifare cards may feature secure employee badges for convenient and secure access to workplace. Store passwords in the card, giving the user guaranteed authorized access to consumer and corporate data. Logical access is also possible, giving the user secure access to computer networks, data files and software. Gaming – NFC compatibility with NFC enabled devices enables the card holder to seamlessly integrate and exchange information such as gaming data between the card and the device. Gaming scores, credits and characters are thus securely stored in the card. Due to their reduced transaction time, minimal chances of fraud and increased security, Mifare cards have become more important in transit programs, and have rapidly gained favor with more financial payment agencies and associations across the globe. PrintPlast has 30 years of experience of Plastic Card production. Get in touch with us for our custom solutions.